This isn't necessarily an "official trilogy" demarcated by director Errol Morris, but three of his more recent documentaries do make a pretty neat little, wartime-themed tried of films: 2003's The Fog of War, 2008's Standard Operating Procedure, and 2013's The Unknown Known. Strictly speaking, they didn't all come out in a perfect row, with his curio Tabloid breaking up the run in 2010. But never the less, these three films hang together pretty well, with Unknown Known playing like almost a sequel to Fog Of War and Donald Rumsfeld, the focus of Unknown Known, having cast such a looming shadow over the players of Standard Operating Procedure. In fact, you could get even more pedantic about it if you wanted to, and instead of calling these Morris's war film trilogy, you could call them his United States Secretary of Defense trilogy. We begin with The Fog Of War, where we see Morris continue in the direction he'd started off with in Mr. Death and developed in First Person: basing an entire documentary around a single interview. We see glimpses of archival footage, vintage photos and snippets of important audio recordings, but 99% of this film is just former Secretary of Defense Robert S. McNamara talking to the camera - or, for those of us in the know, The Interrotron. 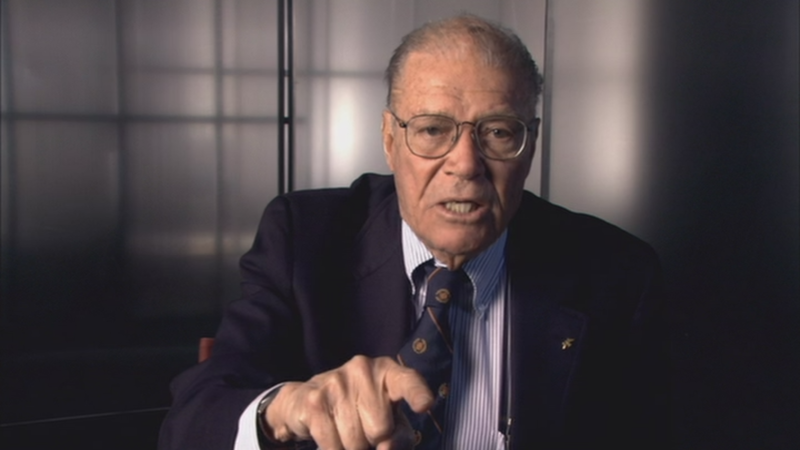 The Interrotron is Morris's unique invention that allows interviewees to look directly into the camera and look the interviewer (Morris) square in the eye at the same time. 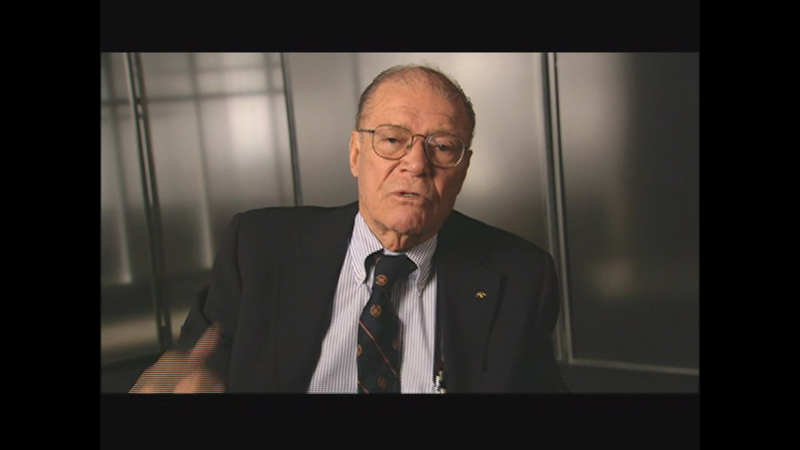 It hides the camera directly behind and filming through a screen that projects Morris's face, who is being film by a second camera hidden behind a another screen of the interviewee's face. I want one, and it allows for a unique style of filming interviews where the subject can feel completely natural in a fluid conversation while consistently looking into the camera. But what's important here isn't the technology, but the humanity. This is a fascinating look into the man who saw us through both the Cuban Missile Crisis and The Vietnam War. 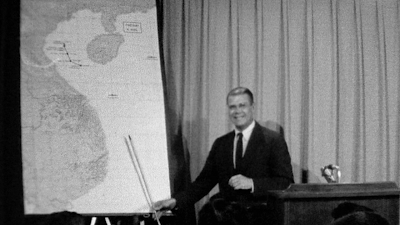 McNamara is famous for having come from the world of business rather than the military, and had a bit of a reputation as being a number cruncher rather than a traditional strategist. One thing this documentary does is use recordings that had just been released to challenge the long-standing historic theory that McNamara had pushed president Johnson to throw hard into the Vietnam conflict. In fact, it seems he had been on the side of pulling out, but was unable to convince the administration. So, you know, that's interesting I guess. But I'm no history buff or politics junkie. What makes a great documentary is the ability to fascinate audiences regardless of whether the viewer has a preexisting interest in the subject matter. For instance, I've very into Hip-Hop music, and I've watched and enjoyed some pretty mediocre documentaries, just because they were giving me information I wanted to know and insight into artists I was a particular fan of. But I wouldn't recommend them to a country/ western fan; they'd be crawling up the walls twenty minutes in. But Morris is one of the great documentary makers who will rivet anyone. From the Phillip Glass score, to the editing and just the masterful way Morris mines his interviewees, this is just a great film. Hell, it won the Academy Award that year. And that's what makes it all the more disappointing that The Fog of War has never been released in HD. 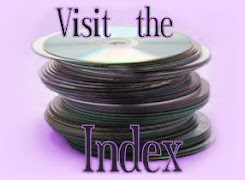 Sony Pictures Classics released it as a new release DVD in 2004, and it was issued in nearly identical editions in other regions all around the same time. But that's been it. No updated transfers, no Criterion commentaries, no blu-rays. We've still just got the original DVDs. Fortunately, at least, there's nothing wrong with those. Sony presents Fog Of War in a nice, anamorphic 1.78:1, although things get a tiny bit fuzzy in the overscan edges. There's no interlacing or other issues. 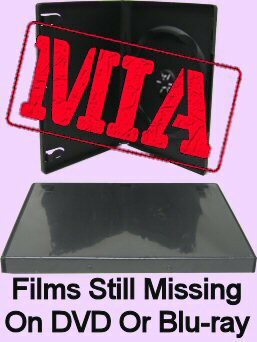 Maybe the blacks could be a smidgen deeper, but that may be more of a creative decision on the part of the filmmakers than the DVD itself. At any rate, it's all fine. It's a DVD, so it's in standard def, and a crisper HD upgrade would be sweet. But again, for a DVD, it's perfectly fine, like an A-. The Dolby Digital 5.1 audio is nice and clear, with additional French, Japanese, Portuguese, Spanish and English HoH subtitles. This isn't exactly a "special edition," but there is some good bonus stuff to be found. Primarily, what we get are the deleted scenes. But there's almost 40 minutes worth of deleted scenes; it's practically a sequel. Unfortunately, the deleted scenes are non-anamorphic and heavily interlaced, as you can see above; and some of the additional anecdotes are a little underwhelming and you can see why they were cut. But there's still some really good stuff there. Also, The Fog Of War is structured in a way that break it up into 11 chapters, labeled as lessons. Well, apparently that was all Morris's invention, and McNamara wants us to know those aren't his. So he came up with his own ten life lessons, which is basically just a text-only extra, but McNamara does provide a very brief audio introduction. There's also the trailer, two TV spots, some bonus trailers and an insert advertising a companion book and teacher's guide for the film. But don't let that ward you off. 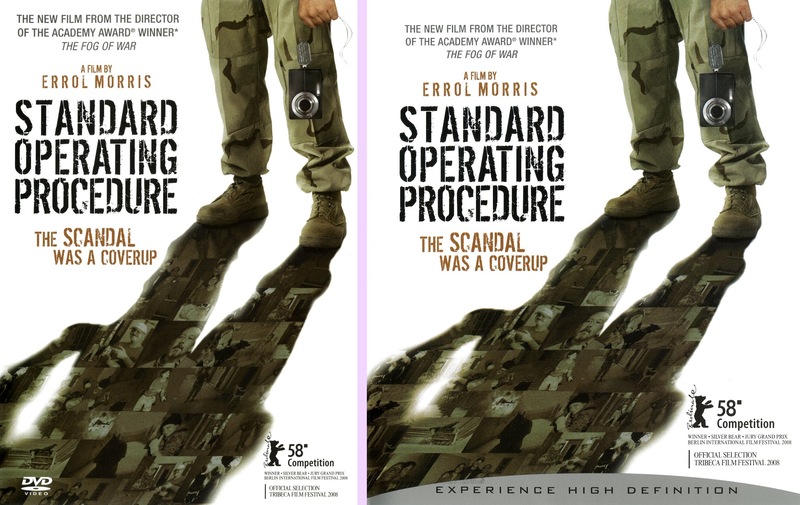 Next up is 2008's Standard Operating Procedure, Morris documentary on the infamous photographs of prisoner abuse from Abu Ghraib. There were several documentaries out about the huge Abu Ghraib scandal around that time, including Alex Gibney's Taxi To the Dark Side and the HBO documentary Ghosts Of Abu Ghraib, which even interview a couple of the same people. They're all good. Certainly Taxi is very engaging and informative. But none really cross the line to a higher art like SOP. Taxi is a film you should definitely see, and Ghosts is a film worth checking out if you're interested enough in the subject matter. But SOP is the only one that really belongs in the film lover's collection. 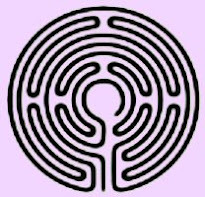 Now, if you've been following Morris, including his articles and books, you could probably guess that Morris is particularly interested in the photographs and what truths they show and which they obscure. That, and it really winds up delving into the day to day reality of being in that environment and looking at the world outward from the lived experience of the "bad apples." SOP does go there to some degree, but this isn't political expose about who knew what all the way up the chain. That's addressed, and it's certainly shocking at the end when you see which photos were eventually deemed by the military as criminal and which were "standard operating procedure." But SOP really seeks a deeper understanding of those moments in the photographs and to question what they tell us beyond our initial impressions. For the record, this one isn't a single interview documentary. It interviews many people, from the most infamous guards, their peers, those who were supposed to be in charge, and contractors who were also on-site. Conflicting details are allowed to counterpoint each other. The only conspicuously absent players are one of the key "bad apples" who was still in military prison, the detainees themselves (although Morris talks about how hard he tried to find them in the special features), and Donald Rumsfeld... which might hint at why we would later get The Unknown Known. 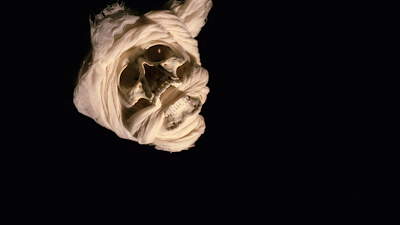 And on a more technical level, SOP features some amazing, ultra-high speed photography and an elegant score by Danny Elfman. Like The Fog Of War, Sony Pictures Classics released Standard Operating Procedure as a new release in most regions around the world, and the film has never since been revisited on disc. Fortunately, however, by 2009, blu-rays were a thing, so this time we got the film in HD. In fact, this was the time when Sony was really trying to push blu-rays, so they wound up including a bunch of additional, exclusive material to the BD that they left off the DVD copies. So if, like me, you weren't buying blu-rays yet in 2009, this is a serious one to consider going back for and double-dipping. 2009 Sony US DVD top; 2009 Sony US blu-ray bottom. As a concurrent, dual release, naturally the DVD and blu-ray feature the same master. The very wide 2.39:1 framing is identical, the brightness levels and colors are the same, etc. And thankfully, neither is interlaced or otherwise troubled. The difference between them is simply the fundamental difference between an SD and HD release. But yes, that HD does make a difference. Look at the full-size shots and you'll see the blu is noticeably sharper and clearer. There's an inescapable softness when you get in close to the DVD, so you'll appreciate the blu on an large screen set. There is so much extra footage packed onto the disc, and it's an early blu-ray release, so it was a little bit of a worry that the blu might be overly compressed and not much of an upgrade on the DVD. But no, it's a very clean, genuine boost to high def. Both releases feature the same audio options: a strong 5.1 mix, with French and Portuguese dubs also in 5.1. The only difference being that the blu is able to deliver them in TrueHD. Both discs also include a whole ton, but slightly different, subtitle options. I'll bold the ones that are unique to each disc. The DVD has English, English subs for the commentary, French, Portuguese, Portuguese subs for the commentary, Spanish, Chinese, Korean and Thai, while the blu has English, English SDH, German, German subs for the commentary, French, Portuguese, Portuguese subs for the commentary, Spanish, Chinese, Korean, Thai and Turkish. I'm not sure if that's going to be of huge importance to anyone, but it's an interesting little detail. The much more noteworthy distinctions lie in the special features. The DVD isn't bad, it gives you some good stuff including another insightful commentary by Errol Morris and almost half an hour of deleted scenes. They also throw in the trailer, a couple bonus trailers, and an annoying commercial for blu-rays on start-up. The blu includes all of that (even the annoying commercial on start-up, unfortunately), but also has a whole lot more. Besides the deleted scenes from the DVD, there is also almost two hours of "additional interviews," which basically just amount to a metric ton more deleted scenes. A few scenes to repeat, but only a few minutes worth. 98% of it is all new material, including some very compelling and dramatic stuff that was surprisingly left out of the feature film itself, and even one or two interviews with people not used in the film at all! Then you've got two festival Q&As with Errol Morris (one also with his producer), which add up to another 45 minutes. They're pretty distinct, and only repeat a little bit, although they do cover some ground mentioned in the commentary as well. And finally, there's a 45 minute panel discussion... If you're keeping track, that's like 4+ hours of bonus content, not counting the commentary, packed onto one disc, with a whole bunch of language options on there, too - you can see why I was concerned that it might be a compressed nightmare. Anyway, the panel was recorded at the Berlin Film Festival, where a small, fairly random bunch of journalists and politicians discuss the politics addressed in the film. It's a bit superfluous, and rarely reaches the level I'd genuinely consider an "important" discussion, so it's pretty skippable unless you're a die-hard fan hungry for every drop of content. But everything else? Including all those deleted scenes and extended interviews? Those are essential viewing. So, unfortunately, the DVD really isn't good enough. And finally, we end with The Unknown Known. It took him a while, but he finally got Rumsfeld in the hot seat. 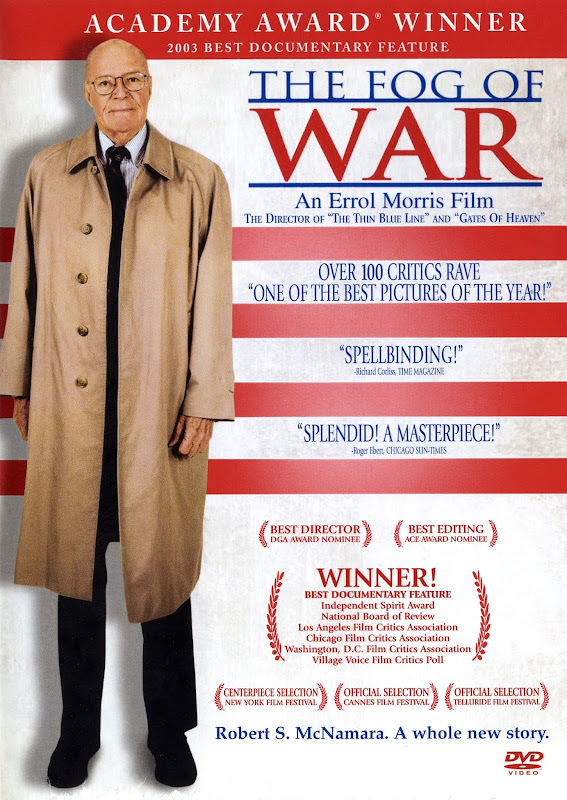 Morris described interviewing Rumsfeld as "one of the strangest things I've ever done, certainly one of the strangest interviews I've ever done," which is really saying something when you remember films like Vernon, Florida. Like The Fog Of War, this is a single-interview documentary, and to a limited degree, I might concede that this is a slightly misguided attempt to repeat the success of Fog. It didn't win him his second Academy Award, even though it does feel a little like it's trying to recapture the same magic. But it certainly stands up as its own film, more than worth watching on its own terms: a unique perspective of an outlandish series of events. After all, even though they might've shared the same job title, Rumsfeld is a very different man than McNamara. He's slippery, and you only have to drop by the film's Amazon page to read plenty of annoyed viewers' frustrated reactions to Morris failing to nail him down. But if you're prepared to read just a little below the barest surface-level of the exchange, it's a fascinating portrait. "Ask yourself, what he's saying here," Morris says in the audio commentary, "is he lying? Confused? Self deceived? It's at the heart of this movie; that very question." 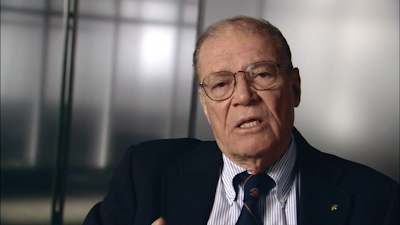 If you're just looking for a documentary to point a finger and nail Rumsfeld to the wall, well, you should've known by now that Morris really isn't that kind of filmmaker. He certainly challenges Rumsfeld again and again, but he never falls for the false satisfaction of quick and easy answers. His subjects are real people and his films are real art, which is why The Unknown Known is more than just a failed replica of Fog. Morris was no longer making films with Sony by this point, and this one was actually produced by The Weinstein Company (whoa, I felt my traffic rise just typing that name), and surprisingly enough, the home video release wound up falling to Anchor Bay. They gave it separate DVD and blu-ray releases in 2014. And unlike SOP, we're back to the traditional method of having matching extras on both versions, so you only need the blu-ray instead of the DVD if you want the HD transfer. 2014 Anchor Bay US DVD top; 2014 Anchor Bay US blu-ray bottom. Once again, the film is framed at 2.39:1. In 2014, it would be pretty shocking (although not completely unheard of!) if the DVD was non-anamorphic or interlaced or anything, and thankfully everything's fine. Get in close, and naturally the DVD is softer and tiny detail is smudged compared to the crisper, more satisfying HD blu-ray. Both both are perfectly up to snuff, first class transfers for their respective formats. And both discs feature a robust 5.1 track, in DTS-HD on the blu, plus optional English HOH and Spanish subs. 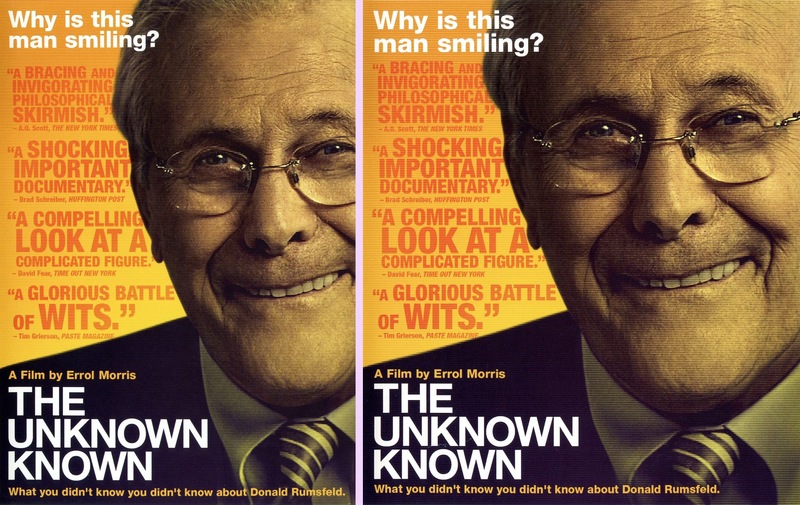 If you're still not convinced that Unknown Known is something more dramatic and compelling than a quick political puff piece, just listen to the commentary track, where Morris gets pulled right back into the arguments, becoming snarkier and more sarcastic than I've ever heard in an audio commentary. I'm a fan of this film, so I don't appreciate people selling it short, but I'll concede that the film with the commentary on might be a more rewarding experience than the film with the commentary off. I'm not sure I've ever felt that way about a film I've owned before. Besides the commentary, there's a brief on-camera interview with Morris, which works as a nice introduction to the commentary, and an hour-long television piece: The Third Annual Report Of the Secretaries of Defense from 1989. It's a great historical document, and great to finally see McNamara and Rumsfeld in the same room (as well as five others who've held that position) after this trilogy; but it's a pretty dry viewing experience if you're here as a film fan rather than a politico. There's also a text-only article by Morris, which contains some interviews; but it's asking a lot to have viewer read pages and pages of on-screen text off the disc... this should've been a booklet, but I guess that would've been too costly. Unfortunately, there's no trailer, except for a couple of random bonus trailers. So the good news is two of these three films already have pretty ideal releases. And the Standard Operating Procedure blu was released in the early days when pictures like this were over-produced, so you can get a copy super cheap if you don't already have it. It was a very painless double-dip for me. The only fly in this ointment is that The Fog Of War, is most successful film of them all, still isn't available in HD. It's a fine DVD, but it's lacking in features compared to most of Morris's other films. Really, it's calling out for a Criterion re-visitation, with an upgraded transfer and some retrospective insight from Morris all these years later. I love it that totally bonkers, under the radar craziness like Demon Wind is getting glorious 4k restorations; but at the same time, it's crazy how the major studio catalog and even some of our most important films are getting ignored, by the labels and fans alike. 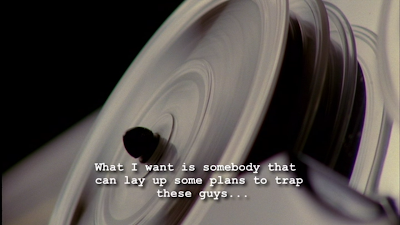 Come on, guys, it can't all be cult horror and tent-poles 24/7.